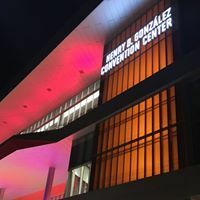 The HBGCC, built as part of the 1968 HemisFair and expanded three times since, is now a beautifully decorated and spacious facility with 1.3 million square feet. 3 elegant ballrooms including Ballroom C with approximately 40,000 sq. ft. The HBGCC complex also features the Lila Cockrell Theatre, a 2,307-seat Performing Arts Theatre. The Alamodome and more than 13,000 of the City’s downtown hotel rooms (over 42,000 citywide) are within minutes and walking distance as well as restaurants and entertainment.